Licence built Fokker C.V reconnaissance biplane. Saw good service and continues in 2nd line roles of rec and communications. Flying boat. The S.55 has a very unusual twin-hulled monoplane layout, with tandem engines on a central pylon, and tail surfaces supported by tubular struts. The cockpit is in the thick centre section of the wing. Despite initial skepticism, the navy bought 170. Italo Balbo made the S.55 famous with long-distance formation flights to Rividavia and Chicago. 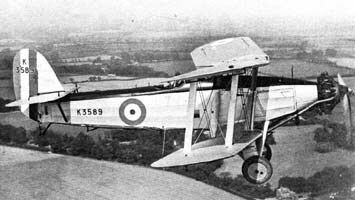 A large biplane light bomber. Really too large and heavy. 100 were constructed in the early 20s. 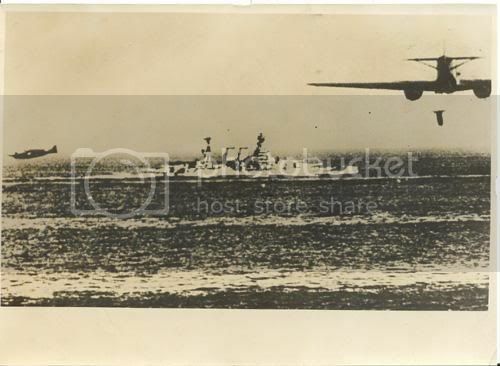 Carrierborne torpedo bomber. A larger and more powerful design than the previous Ro.20. Speed, range and lift improved considerably. Pilots praise the handling qualities. A very robust design that is well liked. About 200 were produced between 1929 and 1931. Monoplane medium bomber and torpedo bomber. 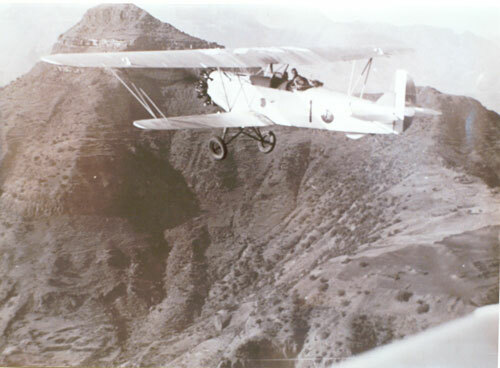 First flight in 1932. Very modern in comparison to the older Caproni types it replaced. Tubular steel frame and covered in duralumin and fabric. Torpedo bomber versions omit the ventral gondola. 400 examples were ordered by the Regia Aeronautica in 1932. All were delivered by 1935. Siam purchased a small number of examples. Single-seat multirole aircraft. Initially designed to be a fighter bomber, the fighter qualities of the aircraft were found to be distinctly lacking. The 50 examples ordered were reassigned to army-cooperation roles as attack aircraft which they are eminently suited for. An aircraft continuing the tradition of innovation from Magni. The novel arrangment was tested in the wind tunnel at Guidonia and found to be satisfactory. 3 prototypes were ordered and delivered in 1934. The J.10 version had a radial A.80 engine and an Asso XI engine. Performance on trials was dissapointing. The aircraft was underpowered. The J.10bis version was constructed in July 34 and used two 1400hp W1518 engines. The test reports were much better and this version was ordered into production. SuperAero ordered 240 as light/medium bombers in 1934. 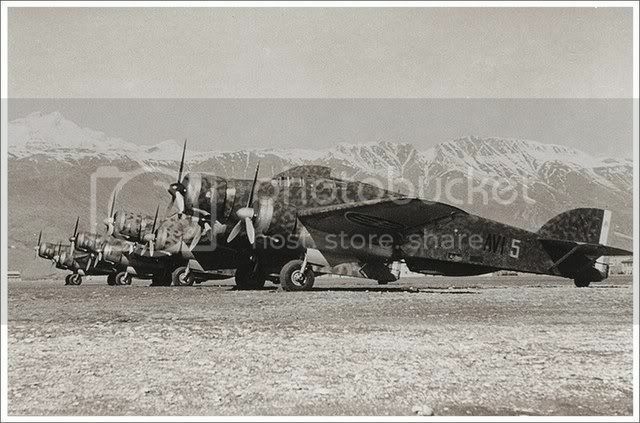 Following on from the Breda Ba.64/65 series of attack aircraft the Ba.67 builds on the combat experience gained in South America along with the newer generation of materials and construction techniques. It is a cantilever mid-wing monoplane, the wing position being moved up to accomodate a larger internal bay. The basic structure of the fuselage and wing is of chrome-molybdenum steel alloy tubing, covered with duralumin sheet. The wing incorporates Handley-Page leading edge slats and large double-slotted flaps. Large wheels and strengthened structure allow for carrier landings and operations off second line airfields. 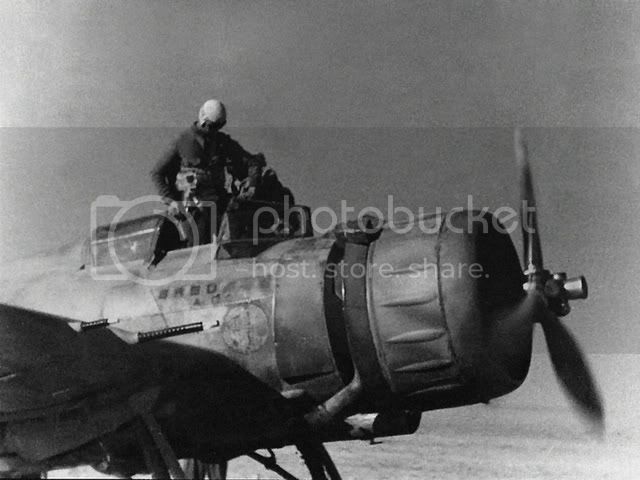 There is extensive armouring around the cockpit and underneath the engine. The engine is the large Isotta-Fraschini W1518, this new model being modified to run at higher rpms and so produce more power. The engine mounting has been carefully designed so that it is plug-compatible with the Alfa-Romeo 135 radial, which is currently producing less pwoer, but for much less weight. Two versions are planned, a single-seat and two-seater. The final winner of the requirement to replace current medium bomber types (SM.79 and SM.81) was an offering from the newly amalgamated Caproni company. 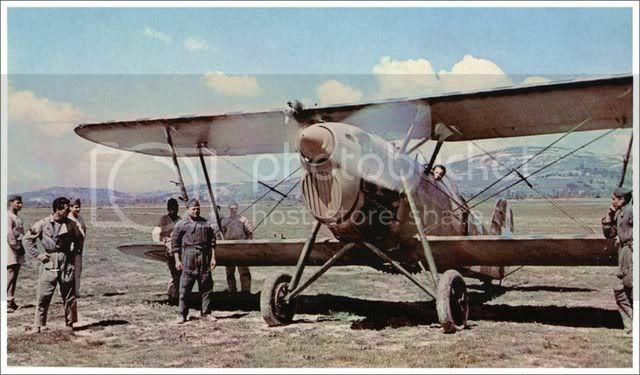 The success of the SM.79 left a large hole in the Regia Aeronautica when the design began to date during the mid 1930s. Experience from Argentina indicated that the design would not be particularly survivable against newer fighter types. As a result, the Regia Aeronautica issued a requirement for a fast bomber to replace both the SM.79 and SM.81. The aircraft would be able to undertake traditional medium bomber tasks, tactical strike, and reconnaissance missions. The winning design was from Caproni and was a twin engined aircraft, sleek in appearance, similar in size and weight to the SM.79. The advances in structure (all metal steel-aluminium alloy) and powerplant lead to significantly increased performance. The design began to be introduced in 1939 with Alfa-Romeo 135 RC.40 engines, which were replaced with higher power 136 RC.25 engines in the second series for low-level operations. Whilst not as capable as the Fiat BR.2, the Ro. 20 is considerably smaller and can still carry a 450mm torpedo. Improvement over Ro.20 and BR.2 with more powerful and more reliable engine, longer range, increased payload and faster. Starting to supply squadrons in Regia Aeronautica from 1932/33 replacing older Caproni types. Monoplane ground-attack/strike aircraft. Small internal bomb bay. Some thought being given to carrier operation. Trials with torpedo carriage are needed.